At 8 months pregnant, EVERYTHING is starting to ache and hurt. So, I’ve made a few trips to my second home (Becoming Mom Spa + Ultrasound) for some soothing spa services and it’s made all the difference! My favorite thing to get there right now is a massage… it just loosens up everything and takes the pain level down a few notches. 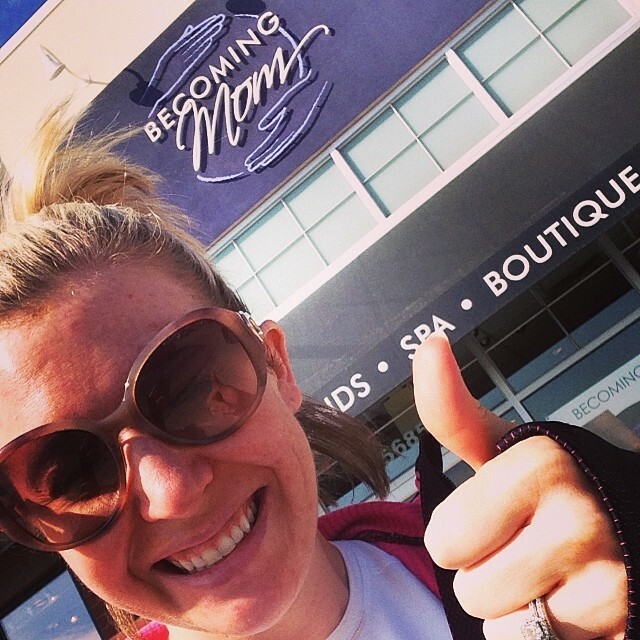 Check out the video I took when I last visited for virtual tour through the new Becoming Mom Spa + Ultrasound space and learn what makes their massages unique, compared to other places that offer pre-conception, pre-natal, and postpartum massages! 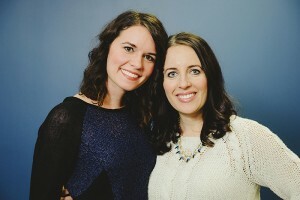 Learn more http://becomingmom.com. As you can probably tell from me posting a million times about getting different spa and ultrasound services while I’ve been preggo, I love love love Becoming Mom Spa + Ultrasound. Just in case you need a refresher though, they offer pregnancy safe spa and ultrasound services that you just can’t get anywhere else under one roof. From finding out the gender of my babies at 16 weeks – a whole month earlier than at your OB – and also coming in with friends and family for a HD ultrasound using the latest in imaging technology, I absolutely love it here. Their ultrasounds are amazing, and so is the spa, which offers massages, facials and nail services using all pregnancy safe products. Their massage therapists and estheticians all have additional certifications to work with moms before, during, and after baby so it’s my safe zone because I don’t have to worry if the products or techniques are going to be safe for me and the baby, plus I love chatting with all the other moms who are clients and work here! Becoming Mom is my go-to even when I’m not pregnant, too… I mean, if products aren’t safe to use while pregnant, why put them on you when you’re not? Everything they use is safe, healthy, natural, and good for you, pregnant or not. Plus it’s a great place to come for gifts! 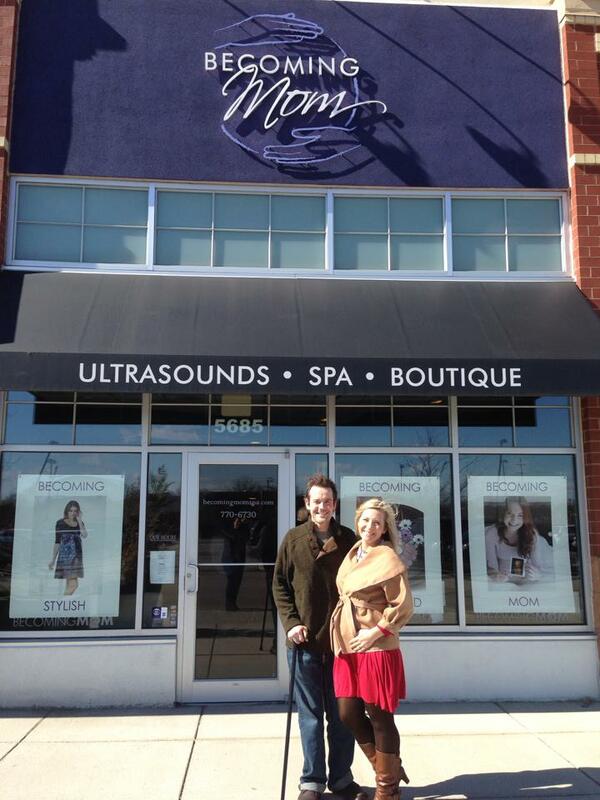 They have a boutique area with awesome products and gifts for moms and babies… I love shopping there! Besides being a wonderful place for moms to be pampered and get special sneak peeks at their little ones, Becoming Mom recently started to franchise their concept for national expansion. They have a mission to empower and support women and moms to become their best personal and professional selves – not just at the spa, but also through franchise business ownership. For some women that might be rejoining the workforce after taking time out to start a family. For others, that might mean a new career track that can help juggle the demands of starting or raising a family paired with autonomy and control of your time that owning a franchise business can provide professionally. Women with a passion for supporting moms, drive, and leadership are the perfect fit to join the Becoming Mom franchise family. If you are great at leading a team, active in your community, enjoy connecting with people, and are looking to take the next step in becoming a new you, Becoming Mom Spa + Ultrasound franchise ownership could be the perfect fit for you or someone you know! Get more details at http://becomingmomfranchise.com! Me and my staff after getting glammed up at Cincy Style Bar! 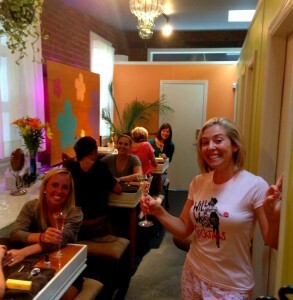 #10: They are the Original Blowout and Makeup Bar in Cincinnati. ‘Nuff said. #9: They put the studio together piece by piece. Literally, most of the furniture and remodels around the spa and salon are all done by hand by family members! It’s very shabby chic, Pinterest meets real life, sophisticated but unpretentious, hip but not hipster. #8: They were green before it was cool to be green. Andrea and Ashley’s commitment to organic, natural and non-toxic beauty goes back to 2003, and they’ve been Cincinnati’s organic, natural and non-toxic full service salon and spa since 2012. So, as long-time advocates it has been a dream come true for them to create a safe beauty haven for their guests. Oh, and because it’s eco-friendly, it’s all preggo-friendly. You don’t realize how much toxic stuff you put on and in your body until you’re pregnant. Simple things like getting your roots touched up or a pedi with a friend becomes a headache to find a place that uses non-toxic products. That is, unless you go to Cincy Style Bar. #7: They have great hours. It’s actually really rare for a salon and spa to be open seven days a week, plus they’re also available outside of our posted hours if arrangements are made. #6: It’s perfect for groups. 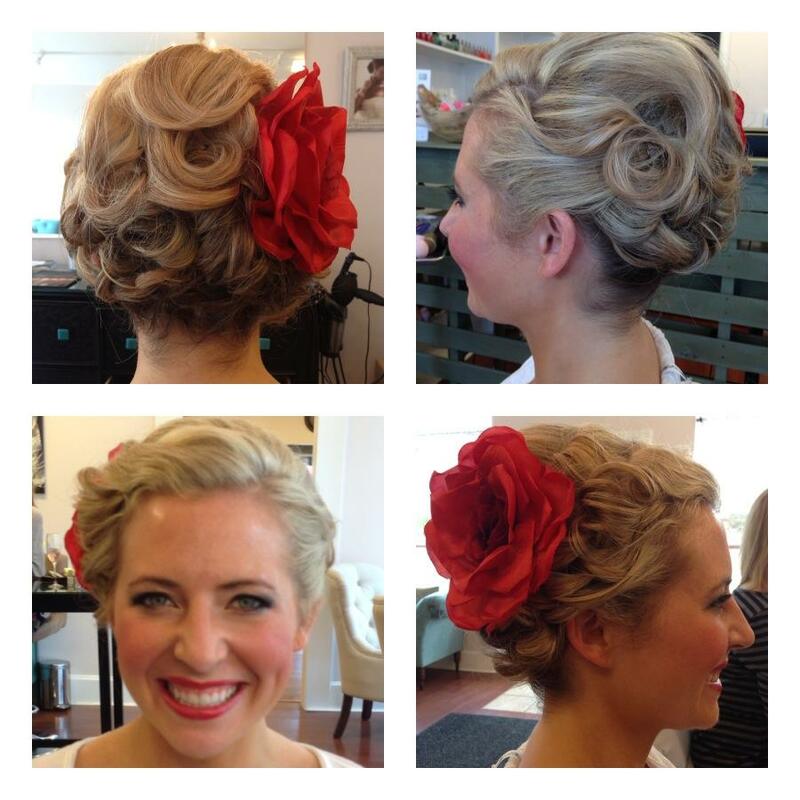 They host nail, tanning, blowout, makeup, bachelorette and kids parties, and also do group makeup lessons. I love taking my staff there because they have a whole separate room for groups. It feels like you rented out an entire spa just for you. Plus, you can have some people getting nails, some getting pedis, but still be able to see and chat with each other because you’re in the same room. I can’t think of anywhere else in Cincinnati you can get this! #5: They come to you. If you have a special occasion like a wedding or event (we’ve had them come do our fashion show models before), they do on-location services, which is SO nice! #4 Pre-Wedding Beauty Prep. This is actually what we just wrote the Cincy Chic story about last week. 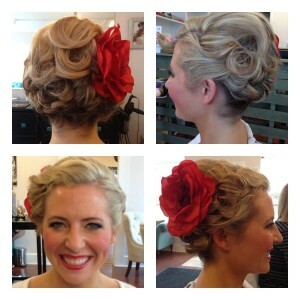 They of course do the typical hair and makeup for brides day-of. But what I love about them is that they also offer a package of stuff a bride could (and should) do prior to the big day, such as facials, waxing, hair coloring and cuts, massages, nails and airbrush tanning. It’s nice to have everything included in one package and have one place to go for it all. 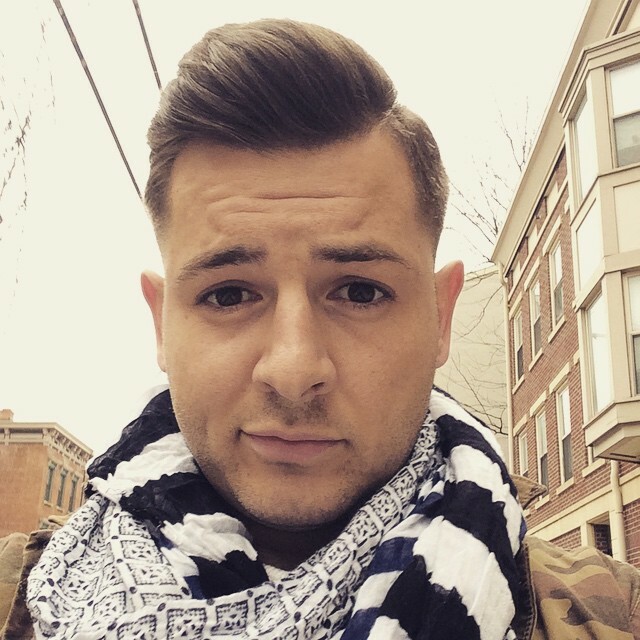 Drew lookin’ smooth with his new ‘do! #3 Men’s Services. So, last year, I took my staff here for our annual spa day, and Drew on my team opted to get a haircut instead of the facials all of us gals were getting. He FREAKED out because he said it was the best haircut he’s ever gotten. He’s been going to the same girl ever since. They have a really extensive men’s services menu, which is nice. Guys gotta get their groom on too! #2: They have really nice drink menu. Yes, you read that right. You can get spa’ed while sipping on a cocktail. Doesn’t that sound nice? And I have to tell you, those cocktails are DEEEELISH! They have a liquor license so they have a large lounge and cocktail menu with discounts for drinks bought during a service. They also offer complimentary local favorites, like Carabello Coffee and Eschencha Teahouse tea. Me after getting spray tanned the day prior, and up-do and makeup all from Cincy Style Bar! LOVED this look! Keep in mind, I had really short hair and they made it look like I had tons of it! #1: Great Retail. 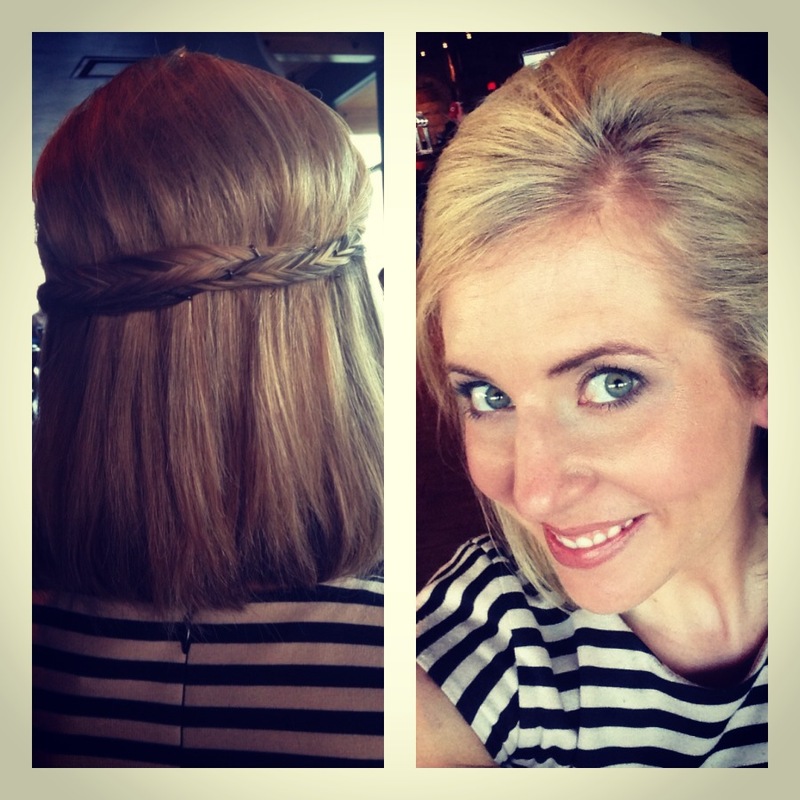 Ever leave the salon and wish you could recreate the look? Next time, ask your stylist to teach you the techniques as they’re doing them, and then also ask exactly what products they’re using. A lot of times, this is the secret sauce to being able to recreate the look. And a lot of the products help to extend the time between salon visits — for example, I finally splurged on good fade resistant shampoo and conditioner the last time I was at the salon and it’s really helped to keep my color looking fab. They also have really nice skin care and makeup — all of course toxin free and good for ya! Ok, that’s my Top Ten list (I feel very David Letterman-y! haha!) for why I love Cincy Style Bar! So now it’s time for you to find your reasons! 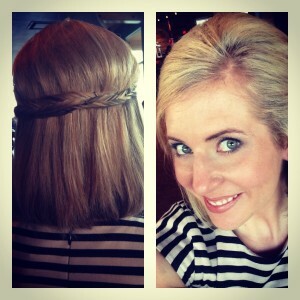 Check them out at http://www.cincystylebar.com or in person at 2882 Wasson Road, Cincinnati, OH 45209. Last month, I went to Becoming Mom in Mason for their “I Can’t Wait” Package where they can tell you the gender of your baby a few weeks sooner than you OB typically does. That’s when we found out IT’S A GIRL!! Woohoo!!! So excited to have a “mini me” on the way! Can’t wait to go shopping and spa-ing with her. Well, technically I don’t have to wait. I already started shopping for her (my first stop after the ultrasound was buying her a pair of shoes! haha!) and I decided to treat myself to one spa service a month for the rest of my pregnancy (these swollen ankles aren’t going to relieve themselves!). I’m officially half-way through the pregnancy as of today, actually! Can’t believe it! I’m a worry wart about enough these days, so it’s just nice to book an appointment and know that whatever I need — a pedicure, massage or facial — will be with the safest products and people for my preggo pampering! So, long story short, I booked all my monthly spa services at Becoming Mom as a little light at the end of the tunnel each month to give me something to look forward to! This month was a “Get that Glow” facial where they slough off all the dead skin and revive it with an all-natural pumpkin scrub. They also did a head, shoulder and hand massage, as well as a foot and leg rub. Soooooo nice. Next month? Prenatal massage! Woohoo! Last Friday began as a regular day, but ended as one of the best days of my life so far. 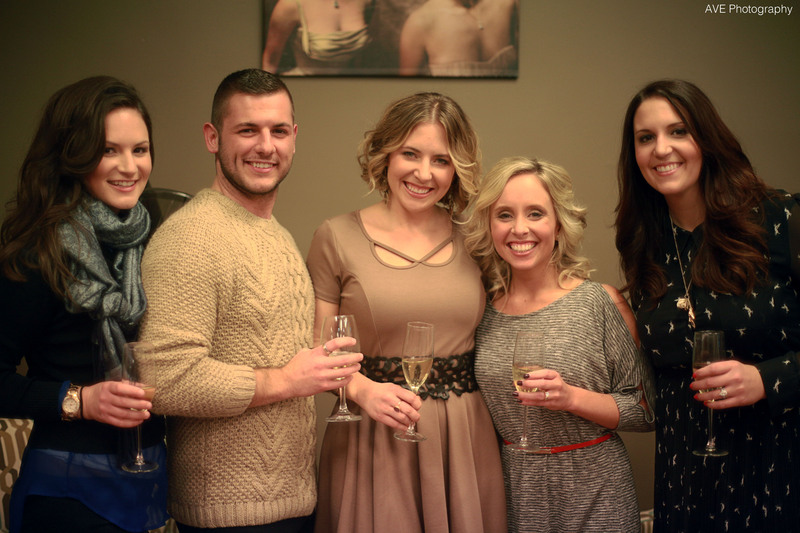 As I announced a couple weeks ago on Cincy Chic… I’m preggo!! And ever since we found out, I’ve been itching to know the gender so I can start shopping and decorating. A friend of mine told me that Becoming Mom in Mason has an “I can’t wait” package where you can find out the gender as early as Week 16, versus Week 19 or 20 when your OB/GYN typically does their anatomy check where gender is usually determined. My husband and I in front of Becoming Mom in Mason, about to find out the gender!! So, because I truly couldn’t wait to know, this was the perfect package for me! I made our appointment for Friday at noon, but I had no idea what kind of special experience I was in store for. We walked in Becoming Mom and it felt like a spa (which it actually is, in addition to a maternity boutique and ultrasound clinic). A welcome change from the cold, sterile ultrasound rooms at my doctor’s office. So, we step into a room that’s decorated like a cozy room I’d find at home, with a big screen up on the wall. Little did I know that our little bundle of joy would shortly appear on that big screen so that every little movement, finger and toe was larger than life. The sonographer began the screen and immediately confirmed that we wanted to know gender — yes yes yes!! — and apparently our little peanut was ready to share what SHE is! Yes, it’s a GIRL! EEEEEE!!! A mini me!!! haha! So excited! Then, for the next five or ten minutes, the sonographer continued her scan to show us each little arm, leg, foot, hand, finger and little toe. There was even a point where our little girl stood completely still on the screen except for one little hand bending, looking like she was waving to us through the screen. It completely melted my heart! Speaking of heart… the sonographer then pressed a button so that we could hear the heart beat. She even recorded it and put it into a stuffed animal we got to pick out . So, now whenever I want to hear our little girl’s beating heart, I just need to give the little bunny they gave me a squeeze and the sound of her heart beating is loud and clear, warming my heart with each little thump. I couldn’t help but let the happy tears flow watching my little girl squirm around on the screen. It was such a special experience. So, I HIGHLY recommend going to Becoming Mom if you’re a mom-to-be. I’m definitely going to be back to get spa services and visit the boutique when I can no longer fit into “real” clothes!